Wyandanch is a hamlet and census-designated place in the Town of Babylon in Suffolk County, New York. The community is served by the Wyandanch School District. The community is named in honor of Chief Wyandanch, the leader of the Montaukett Native American peoples in the 17th century. The area has had many names, including Half Way Hollow Hills, West Deer Park and Wyandance. The area was named Wyandanch by the Long Island Rail Road in 1903 in order to dispel confusion among passengers departing at the Deer Park and West Deer Park stations. The community experienced several influxes of ethnic immigrants, including Germans, Irish, Italians, African Americans and people of hispanic origin, all within the 20th Century. During the Civil Rights Era, Wyandanch experienced several incidents of race-related unrest, and several community entities came together to improve the standard of living within the hamlet. 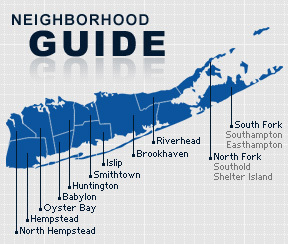 According to the 2010 census, the population of Wyandanch is 11,647. The median household income is listed as $54,052.